Blogging is one of the best ways to get on a deeper level with your customers and potential customers, and it’s a free way to market your business and work to get your website found sooner in search engines. It is because of these things that you really want to make sure that your blog posts are interesting. Originally started as a networking tool for students at Harvard 14 years ago, Facebook has become the eponymous tool for connecting people worldwide. As Facebook moved from the desktops of college students to the mobile devices of every person in the world, Facebook moved from just a social tool to being a major marketing platform for businesses. A website today makes a huge difference in brand marketing and promotion. It is one powerful tool that business organizations utilize in getting the word out about their mission as well as their products and services. Modern businesses need to be highly competitive in order to stand out from the crowd. While utilizing traditional media remains somewhat effective for marketing products or services, establishing an online presence has become a must for any business owner or entrepreneur who is serious about ramping up an enterprise. 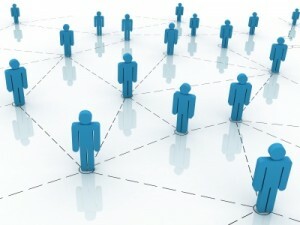 Online marketing goes beyond just creating a website or blog or having an active presence on social networking sites. 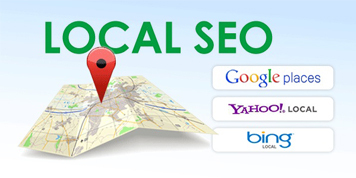 It also entails using the right keywords for your business to ensure that you are easily found in search. This is what constitutes search engine optimization. Running a business regardless of its size is a tough challenge. You have to know about the different aspects of the business and have the skills to keep it running smoothly moving forward. You may start it on your own but eventually, you may have to hire a staff or two to help you with the minor tasks so you can concentrate on the operation aspect. Entrepreneurs today are more fortunate in that they can start a business online in the comfort of their home without having to set up a physical store and rent a commercial space. Another advantage of this kind of setup is that business owners can hire a staff or assistant in a different location but still have the opportunity to monitor their work. Indeed, with the ever advancing internet and mobile technologies we have today, it is still possible for people in different geographical locations to work together in running a business. There are software applications today that allow business owners to monitor the work of their staff to ensure that tasks are accomplished and deadlines are met on time.